Have you ever seen one of these? The new thing is having a Chromed Car, and the first one I've seen was at 2010's SEMA. 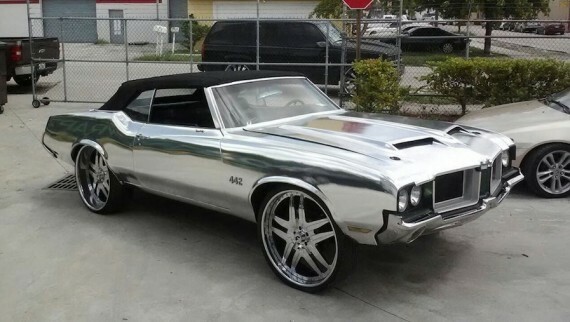 Well, there's a rumor going around that this particular Cutlass 442 will be at Forgiato Fest next week. It's only fitting because it is wearing their Vizzo wheels. Interesting concept, because out of all the chromed vehicles I've seen, this is the first old school, and it looks good.